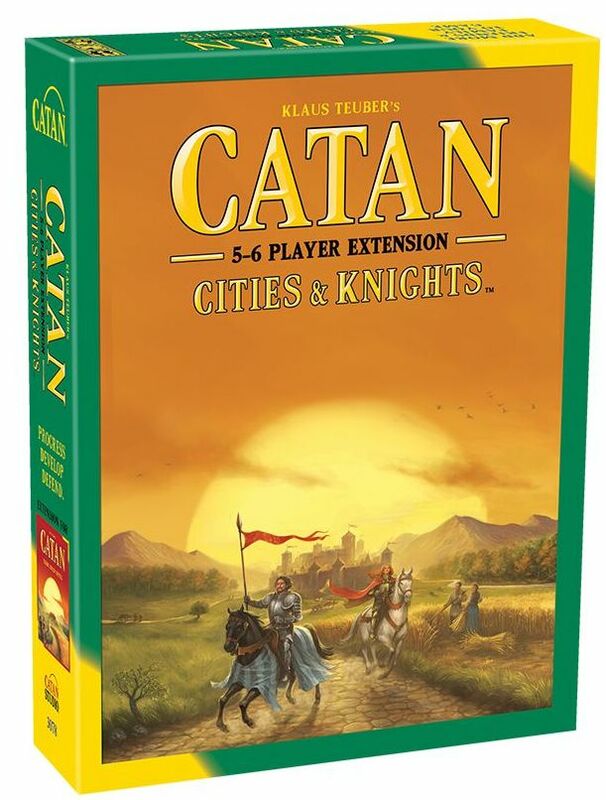 Now five to six players can develop cities and muster knights! 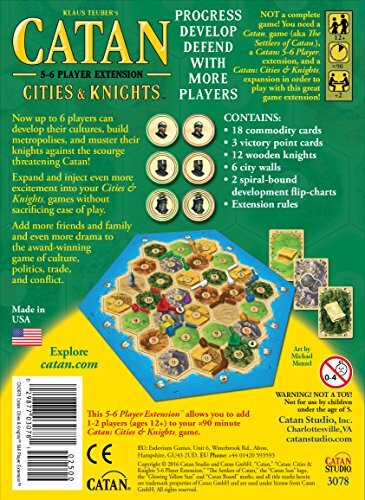 Produktinformationen "CATAN - extension Cities & Knights 5/6 player english version"
Now up to 6 players can develop their cultures, build metropolises, and muster their knights against the scourge threatening Catan! Expand and inject even more excitement into your Cities & Knights games without sacrificing ease of play. Add more friends and familiy and even more drama to the award-winning game of culture, politics, trade, and conflict. NOT a complete game! 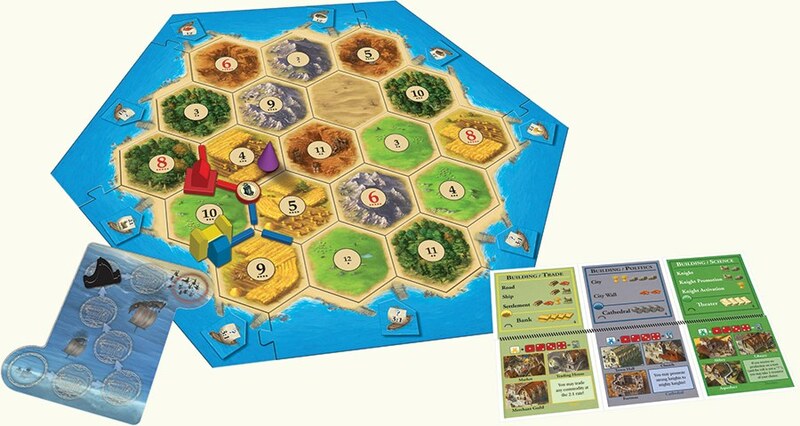 You need a Catan game (aka The Settlers of Catan), a Catan: 5-6 Player extension, and a Catan: Cities & Knights expansion in order to play with this extension!